Luxperience has concluded for another year after a successful 3.5 days of appointments, networking and thought provoking education, focused on collaboration, creativity and luxury market trends…plus a whole lot of fun, especially during the welcome, gala awards and it’s a wrap parties. 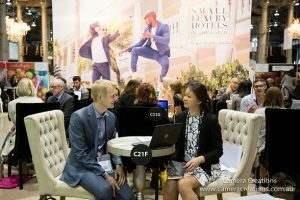 There were more than 10,000 meetings connecting the 300 exhibitors with over 400 elite local and international buyers and meeting organisers along with key media. 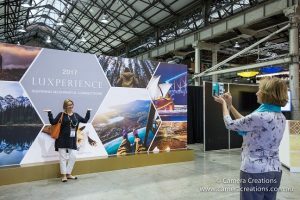 A dazzling array of high end travel products and experiences from across the globe were on display in a convivial and relaxed atmosphere. During Luxperience 2017, it was announced that next year’s theme will be the Blue Print – a world re-designed and will be held in Sydney from 16 to 19 September 2018 with exceptional early bird rates already on offer.